Sea glass pieces arise from shards of glass that have been tossed or broken off in the ocean. Once submerged, the glass is tumbled and polished by the ocean’s movement, smoothing the sharp edges and leaving a softly glowing “gem.” Eventually these treasures wash up on the shore, where they are diligently gathered and collected by beachcombers. 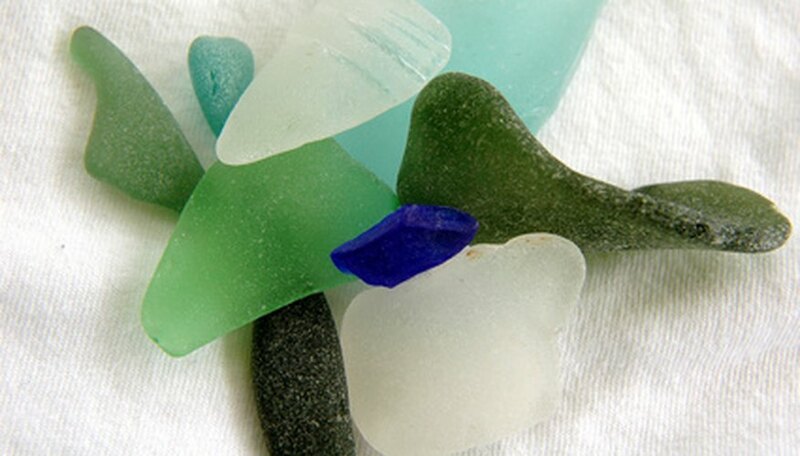 When wet, beach glass is brightly colored and translucent, making it easy to spot. 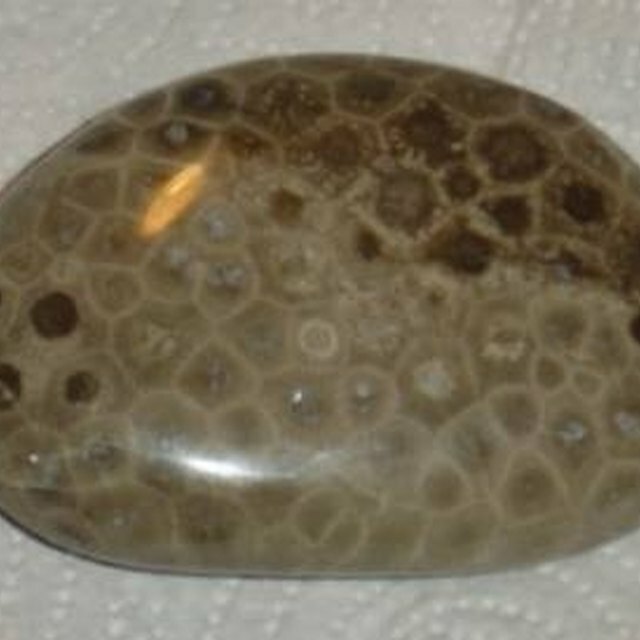 When dry, it is often covered in a thin white film -- a remnant of years of exposure to sea water. While some collectors prefer their glass in this more natural state, others wish to clean the film away, leaving a nice shine its place. Pour 1 tsp. of mild liquid dish-washing soap into a large bowl. Add warm water until the bowl is ½ full. Place the sea glass gently into the soapy water, fully submerging each piece. Handle the sea glass carefully so as to not cause any nicks or scratches. Let the glass soak for one to two hours. Dip a soft cloth into the soapy solution and use the moistened material to gently wash the sea glass. For stubborn areas, apply the solution to the sea glass with an old toothbrush, scrubbing the pieces lightly to loosen any remaining dirt, debris or mineral deposits. As each piece is cleaned, rinse the soap away with cool water and set it on an absorbent towel to dry. Pour ¼ tsp. baby oil onto the center of a paper towel. Use the oiled portion of the material to gently polish each piece of glass. Buff the surface lightly and then blot with a dry towel to remove any excess oil. Parris, Lisa. "How to Get White Film off Sea Glass." Sciencing, https://sciencing.com/white-film-off-sea-glass-7789852.html. 24 April 2017.